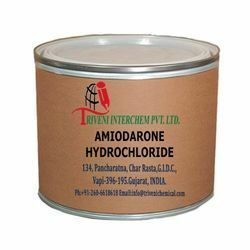 Pioneers in the industry, we offer amiodarone hydrochloride from India. Amiodarone Hydrochloride (19774-82-4) is solid. it is also known as Amiodarone Hcl. Storage: Keep container tightly closed. Keep container in a cool, well-ventilated area. Looking for Antiarrhythmic API ?